All aboard The Grand Tour Hype Train: next stop Loch Ness, Scotland. The new home of Jeremy Clarkson, Richard Hammond and James May – a giant travelling tent paid for by Amazon – is coming to Scotland for two days of live recording and they're inviting fans to join them. Customers can apply to be among the audience with the terrible trio on the banks of Loch Ness via amazon.co.uk/GTGuestlist until 11:59pm on Fri 4 Nov. Successful applicants will be contacted over the next few weeks. 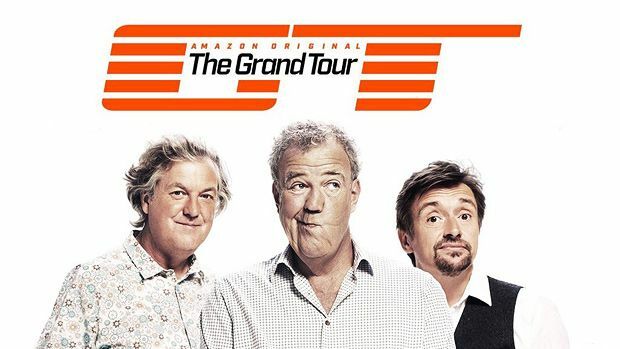 Since their exile from the BBC's hit car show *whisper it quietly* Top Gear, the team have been travelling around the world with a £160m budget, shooting in 4K Ultra High Def for their new series The Grand Tour, available exclusively to Amazon Prime members. The show launches Fri 18 Nov 2016 with 12 episodes released weekly and is expected to run at least three seasons. The Grand Tour premieres on Amazon Prime, Fri 18 Nov. Find out what else is new on Amazon Prime in November.